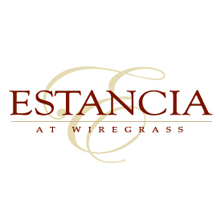 Estancia, located near the Shops at Wiregrass, is an exciting, new master planned community in New Tampa that epitomizes luxury for the Wesley Chapel area. The 1,200 home community is laid out in a resort-like setting with ample conserved green space. Wiregrass Ranch owned by the Porter family since the 1930’s is a well-planned and thoughtful 5,000 acre development that features Mediterranean-themed homes set in gated and non-gated neighborhoods. Homebuyers have plenty of home design options, as the community has 24 distinct designs, including waterfront, conservation area and private cul-de-sac residences. The centerpiece of the community is the spectacular 7,000 square foot Estancia Club, which offers a clubroom and meeting spaces. If you love nature and outdoor recreation, you’ll find neighborhood parks with easy access to the Estancia Trailway and miles of trails that enable you to walk or bike throughout the Wiregrass community. But you can also access the diverse mix of shops, restaurants and entertainment venues nearby at the Shops at Wiregrass. Estancia also has a state-of-the-art aquatics center with covered loggias and cabanas overlooking the picturesque swimming pool with a one-of-a-kind tower slide. You’ll also find a fully equipped fitness center, lighted tennis courts, a basketball court, and other outdoor recreational spaces to satisfy the true lover of the outdoors. The New Tampa area is also known for its top-ranked schools. Estancia is served by some of the Tampa area’s best, including Sand Pine Elementary, Dr. John Long Middle and Wiregrass Ranch High. 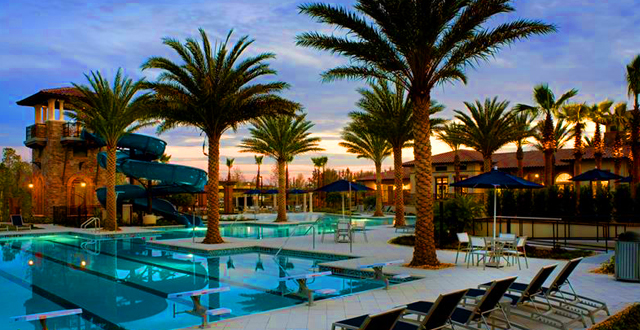 Estancia’s unique mix of luxury and convenience make it the perfect community for those who seek a top-tier lifestyle. If that’s what you’re looking for, call us today at 813-431-2840. We can help you find a home that perfectly meets your needs. We’ve sold over 4800 homes in the Tampa Bay Area, and our experience, commitment, desire to exceed expectations, and best-in-class customer service guarantees your success!